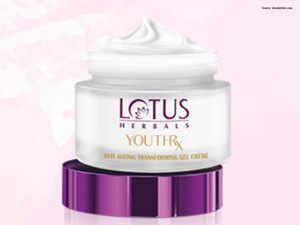 Lotus operates in the Rs 470-crore premium category, competing with L’Oreal’s Garnier and HUL’s Pond’s. The company, which produces skincare products, sunscreen, colour cosmetics and eye-makeup, has been looking closely at a few mid-sized domestic brands in the naturals space. NEW DELHI: Home-grown personal care and cosmetics brand Lotus Herbals, which has been wooed aggressively by large companies including L’Oreal and Dabur, has begun scouting for acquisitions and is in talks with investment bankers to identify potential targets. “We are open to mid-sized acquisitions now and are approaching investment bankers. We’ve just started the process and have an inorganic strategic plan for mid-sized acquisitions, which could be in India or overseas, as long as it contributes tangible value to our business,” Nitin Passi, joint MD of New Delhi-based Lotus Herbals, told ET, adding that the company has identified potential targets but they are unwilling to sell out at this point. New Delhi-based Lotus Herbals may also consider offloading a minority stake in the company or rope in a private equity investor to fund acquisitions, Passi said. “If we are not able to raise enough funds through internal accruals to acquire a target company, we will opt for a private equity investor or dilute 10-15% stake in the company,” he said. He said the likely acquisitions would be within personal care. “We understand that space. I am not very keen on services — they don’t make much money and it’s a problem to scale up. It’s also a very localised model,” Passi said. In the country’s Rs 3,500-crore whitening creams market, Lotus operates in the Rs 470-crore premium category, competing with L’Oreal’s Garnier and HUL’s Pond’s. “Our growth has largely been innovation-led, and based on natural origin and organic products, including the new baby range,” said Passi, who together with his brother Dipin has steered the company started by their father in 1993. Exports, which he said were growing faster than domestic sales, account for 15% of the company’s Rs 600-crore turnover. The company’s fastest growing product is for skin whitening, in line with industry data which says 50% of the country’s skincare industry manufactures products for whitening. “Despite all the social media backlash, whitening continues to grow the fastest because that’s a need of the consumers. It’s a cultural, social thing,” said Passi. Lotus’ skin-whitening products contribute a fourth to its overall business, up from single digits a decade ago. A report by Euro-monitor estimates the country’s overall beauty and personal care market at Rs 97,100 crore, with skincare at Rs 12,500 crore and colour cosmetics at Rs 8,000 crore. The report also adds that while colour cosmetics will grow 17.4% through 2022, skincare will top growth of about 10.4%. The report attributed the growth to younger consumers, more working women, exploding online visibility and ecommerce companies including Nykaa, Myntra and Amazon.